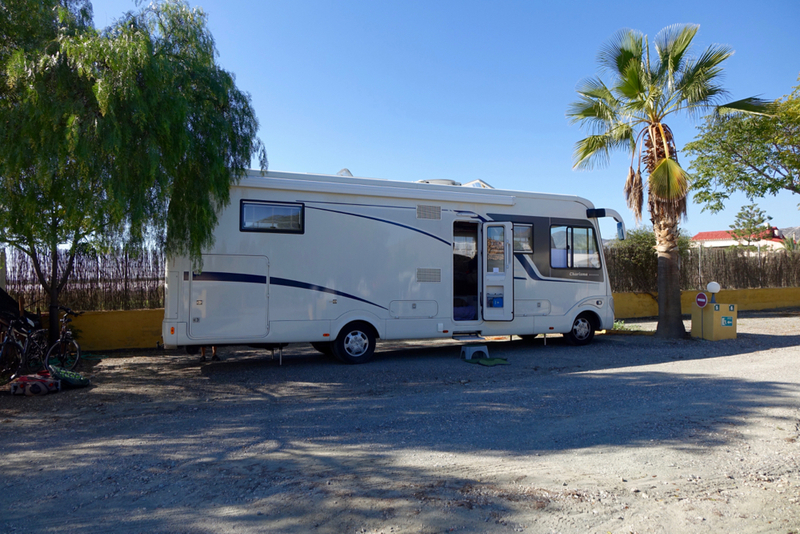 After a few great weeks at Marjal we have moved on; Mavis was getting itchy wheels. 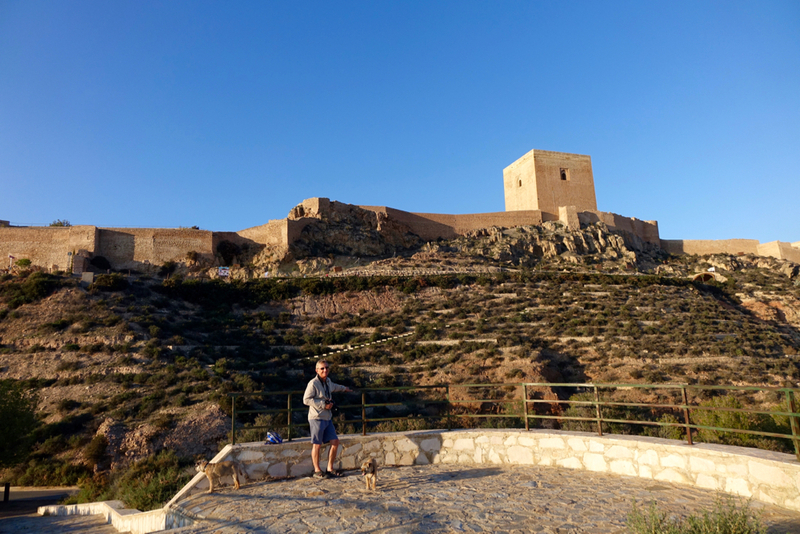 We spent last night at La Torrecilla, a small site about 7 km outside Lorca, which is about 70 miles down the A7 from Marjal. Nia tucked Mavis nicely in to a small pitch by the reception. 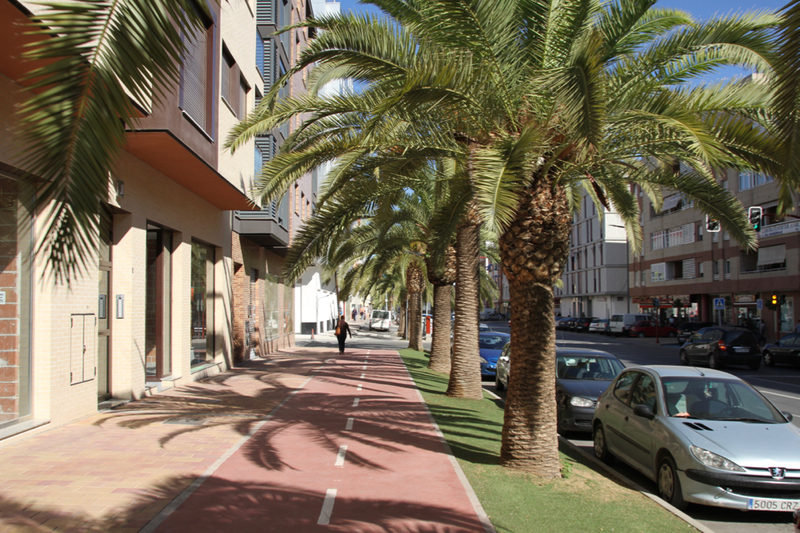 There is a good cycle track all the way into Lorca. We packed the Krays in to the dogcart and set off just after we arrived on the campsite. 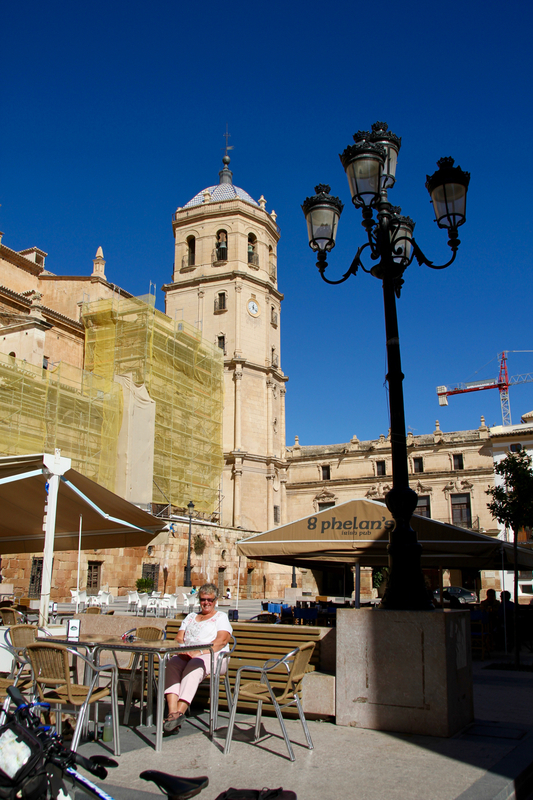 We had lunch in a small restaurant on the Plaza d’Espana, surrounded by old Spanish buildings. The church behind us, well swaddled in scaffolding, is the collegiate church of St Patrick. 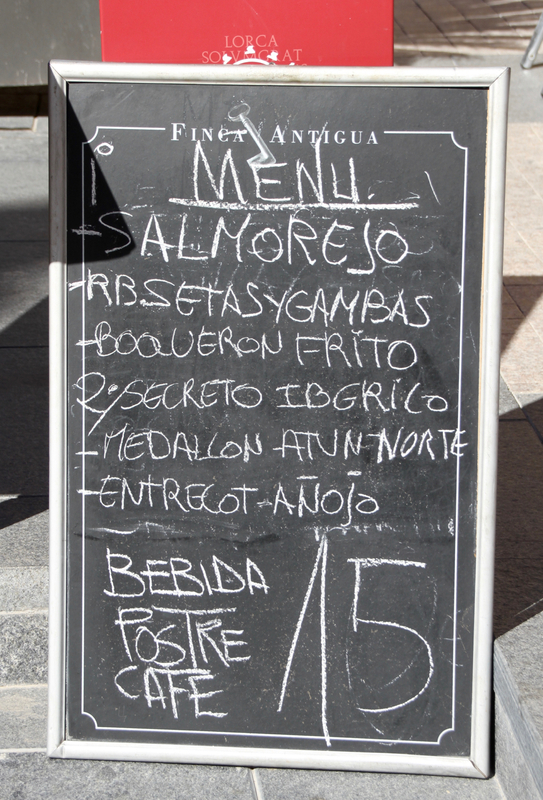 I had the salmorejo, a cold vegetable soup with bits of ham, egg and chorizo floating in it. A bit like Gazpacho, delicious. And then the tuna (atun, handily an anagram of the english word). Nia had the Absetasygambas which was a sort of eggy prawny thingy, and the steak. 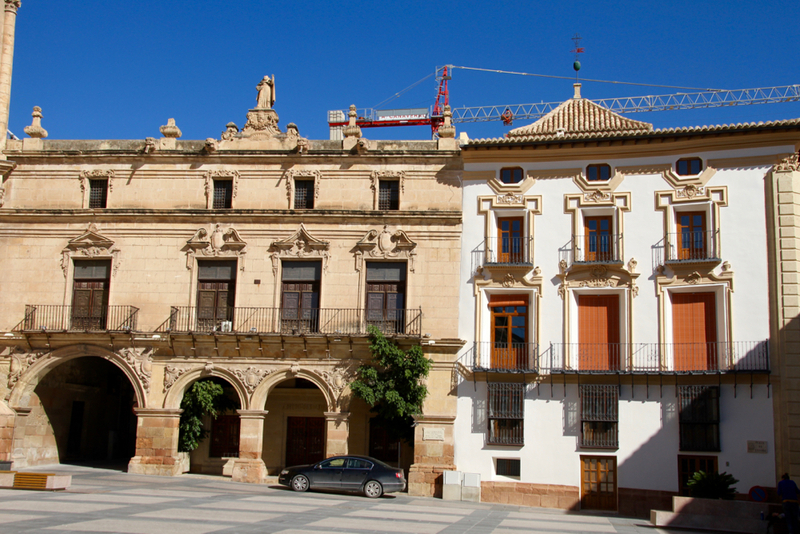 There are picturesque old buildings all around the plaza. 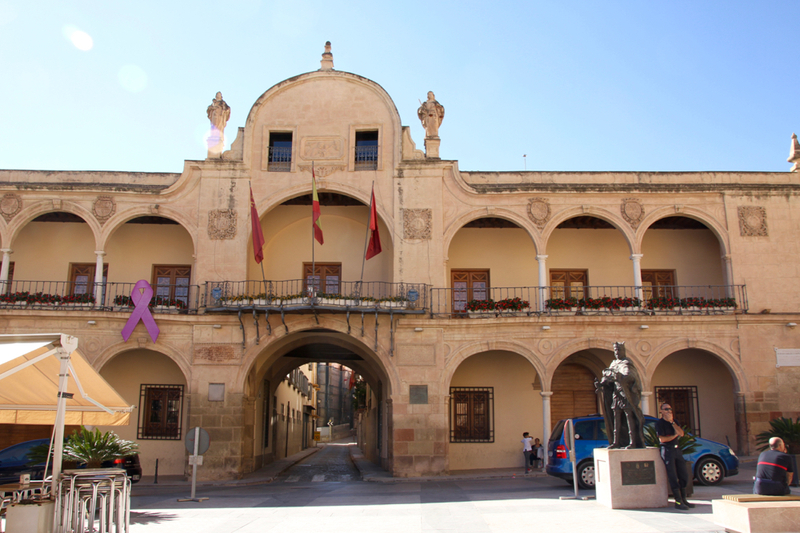 The ayuntiamento, town hall, must be the place to get married in Lorca. We saw 3 brides whilst we were eating. One was quaffing a beer in our restaurant in her finery, not sure if it was before or after the event. Probably before ‘cos we didn’t spot the groom. 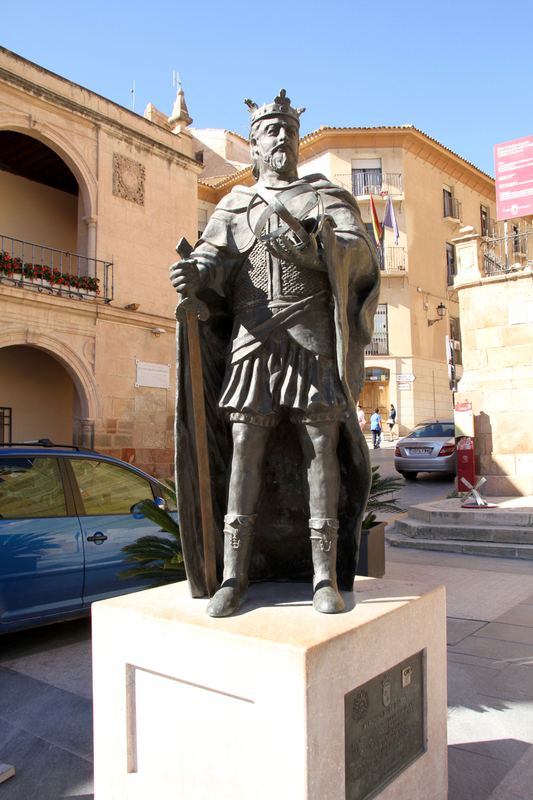 This is a statue of Alfonso the Wise, on the Plaza next to us…we will meet him again. 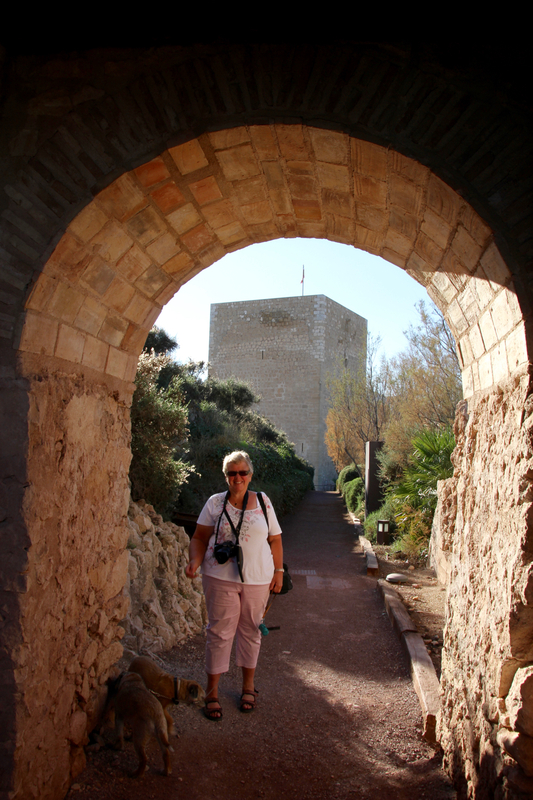 After lunch we cycled up a very steep hill to Lorca castle. 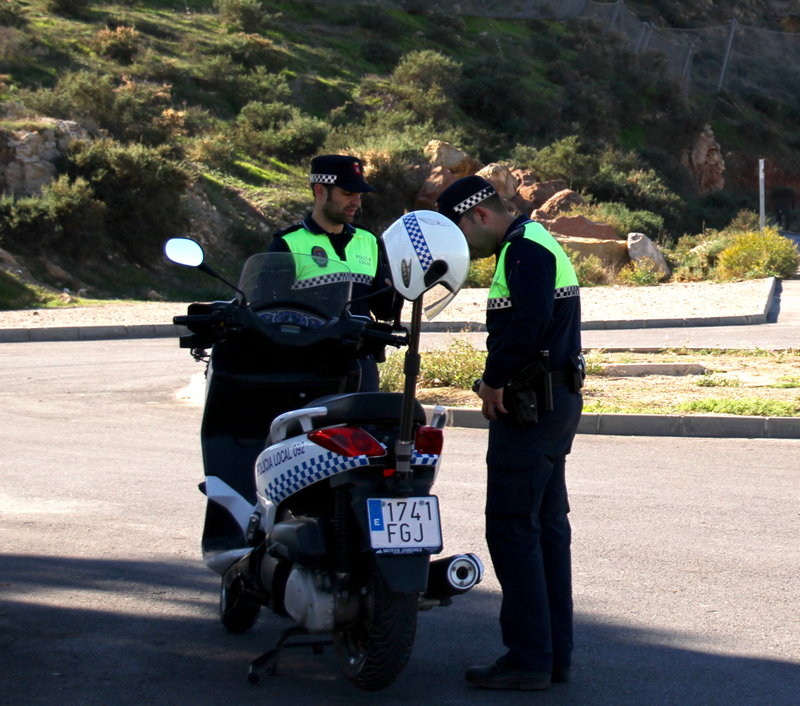 Half way up I met these two friendly coppers on guard (against what?) who kindly kept an eye on my bike while I walked back down to give Nia a hand to get the torpid terriers up the hill. 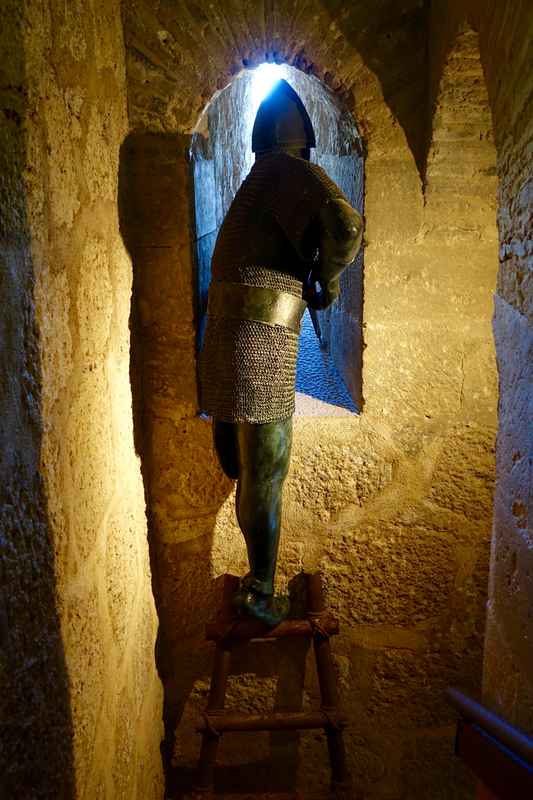 The castle was well worth the climb. 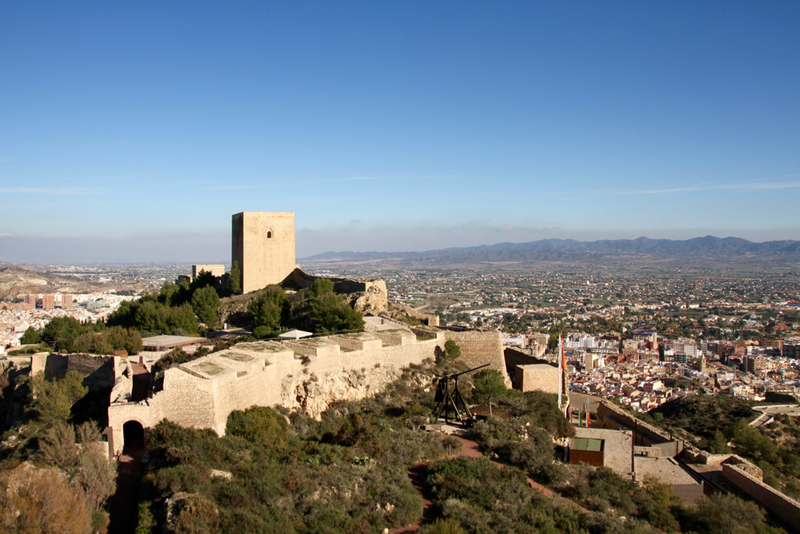 Pinched from the Moors a few hundred years ago it looks out over Lorca and the mountains in the distance. 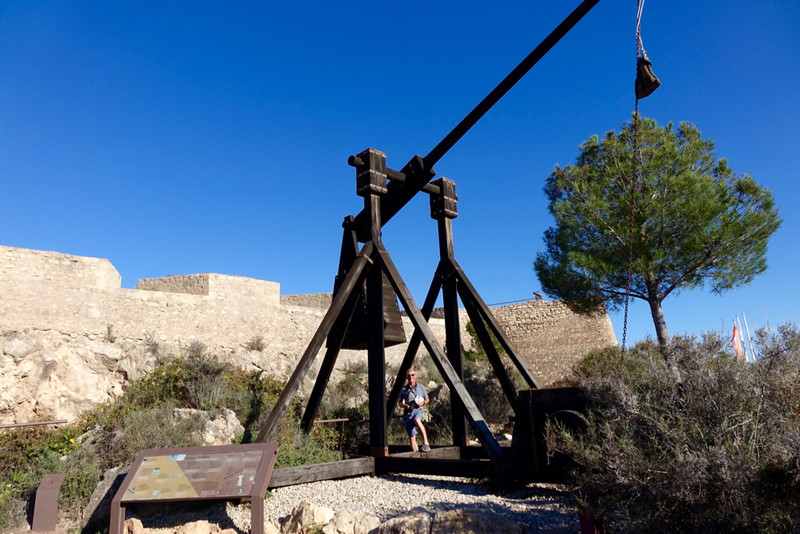 This is a mock up of an old giant catapult or ballista, used to chuck rubble at castle walls. 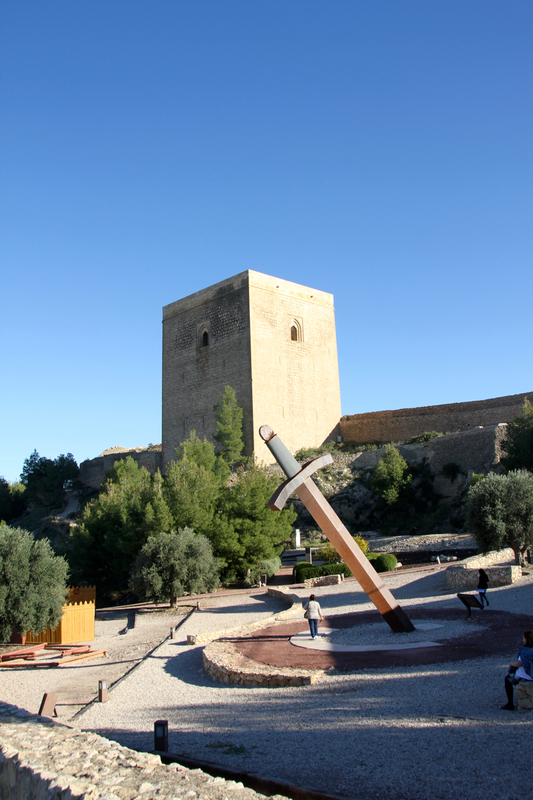 It sits next to the Espolón tower which guards the west of the castle. 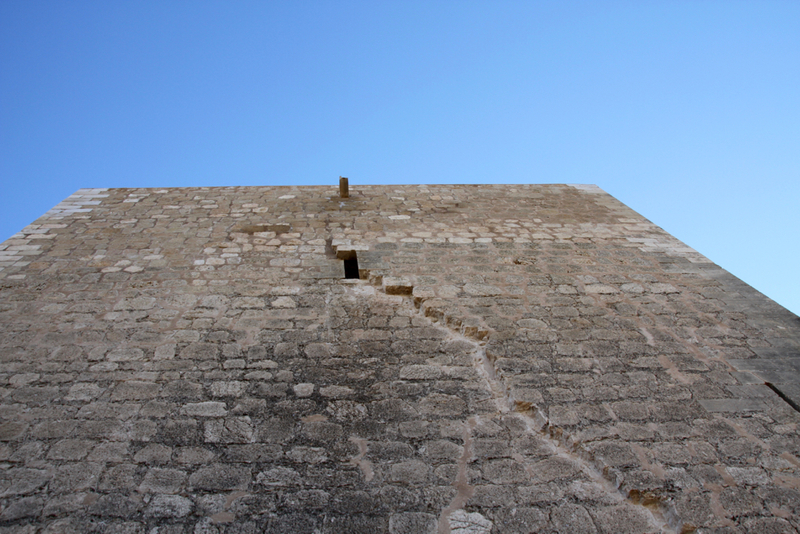 There was a big earthquake in 2012 which unsettled the tower…built by Alfonso X in the 1200’s at the same time as the other great tower, which was named after him. Looking east this is the A7, just before it enters its tunnel under the castle. By 5 the sun was getting low and we set off back to the campsite. 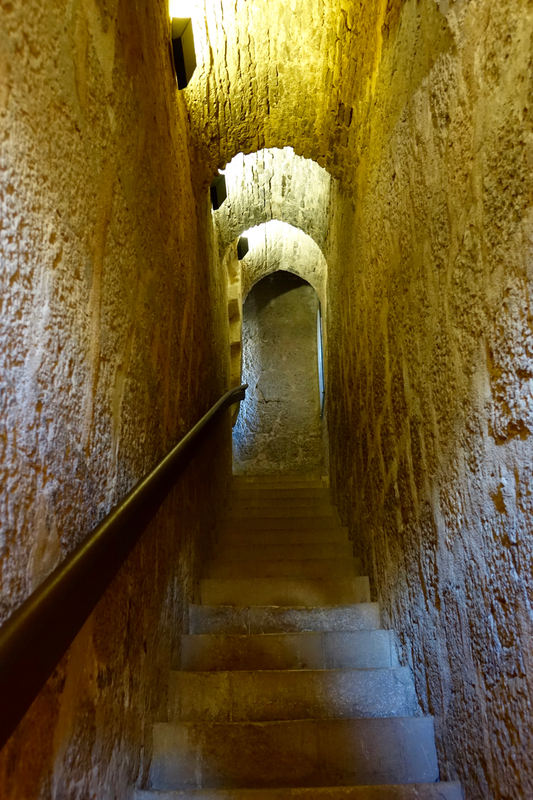 There is a good viewpoint for the castle on the way down. ‹ Don’t Trust a Woman with Eyeballs in her Bag. 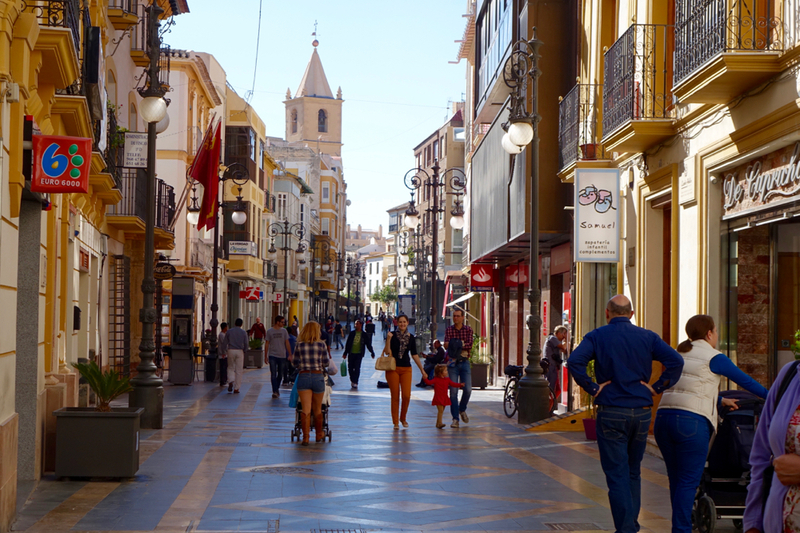 We’re loving it….on to Ronda today. 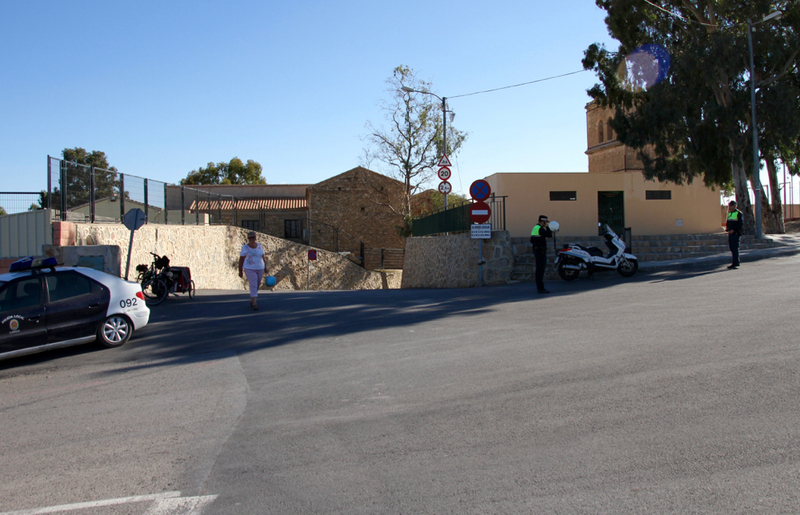 Krays enjoying Andalucía thanks. 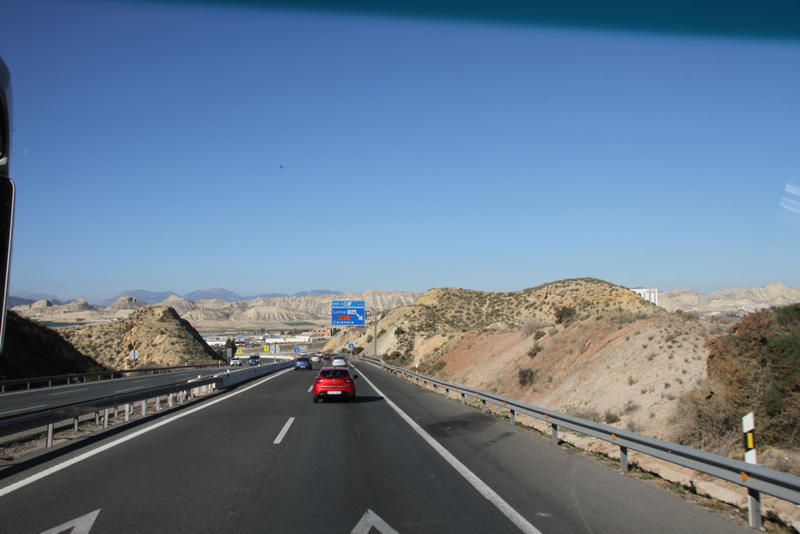 We’ll probably turn our noses north after Ronda (next stop) and amble slowly back in the general direction of the UK. Nia, looks like a great place to shop! Don’t forget to take pictures of the food. Really would like to see a picture after seeing the menu board and your choices! 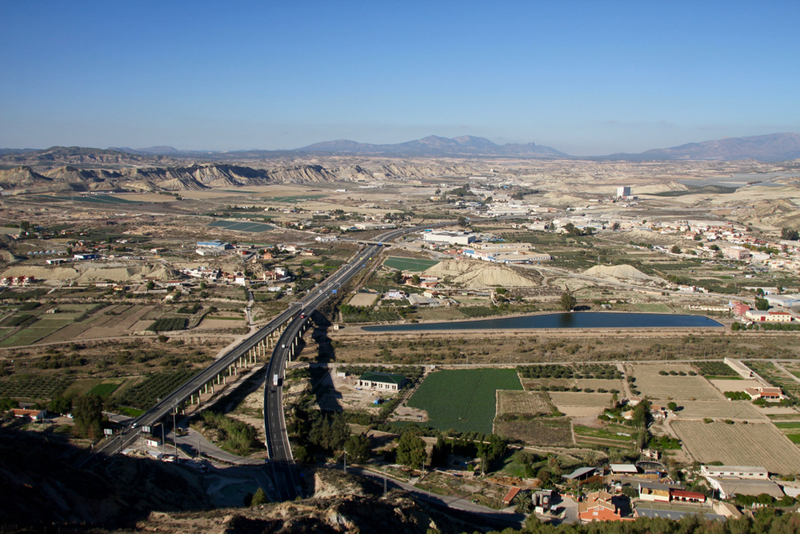 You were just a few kilometres away – I’m currently staying with my friends just south of Lorca! Where next? Very good forecast for next few days for Spain.